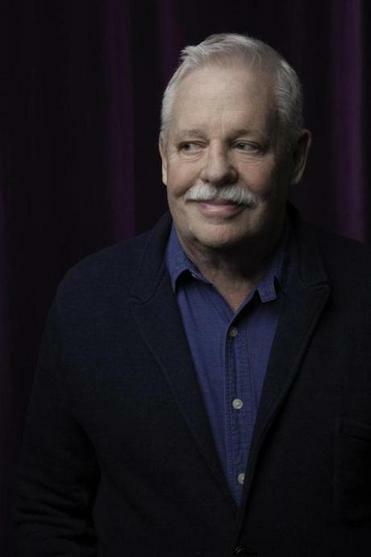 Armistead Maupin, best known for his “Tales of the City” serialized newspaper installments and the nine novels it encompassed, combines a keen eye for atmospheric details with the ability to translate those observations into heartfelt portraits of compelling individuals. His “Tales of the City” series, which was turned into a popular TV miniseries in the 1990s, revealed the gay experience in San Francisco, chronicling the lives of a family of friends with humor and a flair for the dramatic. Maupin took time out of a busy day of traveling to talk about his book, the documentary, and the state of the union. Q. It’s extraordinary that your memoir and a documentary about you came out almost simultaneously last fall. Was that deliberate? A. Not at all. Jennifer Kroot, who made the documentary, approached me about three years ago, and because I admired “To Be Takei” [Kroot’s documentary about “Star Trek” star and activist George Takei], I agreed. It happened that I started my memoir at the same time. When I turned 70 I realized I had some stories to tell and I should tell them. I was working at my own pace, so I was surprised to learn the documentary was completed at the same time. Q. You are normally the observer. Was it odd to be the observed? A. I like to tell stories, especially in front of a crowd, so they just turned me on and let me go. I trusted both Jennifer and [co-director and editor] Bill Weber, so I felt comfortable talking to them and I think that comes across. Q. Why is your memoir called “Logical Family”? A. It follows my own mismatch with my biological family and highlights the fallacy that family members have something in common, when often we are little strangers born in the same place. I am grateful for the family I have built, and I find I don’t have room for family members who aren’t revolted by Trump. Q. Your memoir chronicles your own metamorphosis from a conservative Southerner into an ardent activist for LGBT rights, over a period that also chronicles a cultural shift toward more acceptance of diversity. Are you encouraged by the progress that’s been made? A. Yes and no. I’m happy to have been part of the cultural revolution, but we need to keep vigilant. We need to fight ignorance and misinformation. I’m happy that people now have a voice, like [gay Olympic freestyle skier] Gus Kenworthy, who spoke out against Vice President Pence leading the US Olympic delegation when he is openly anti-gay. Q. Were there any surprises or discoveries as you looked back on your life? A. About 10 years ago, my husband, Chris [Turner], and I decided to go home to see my father in North Carolina. It turned out to be a pleasant surprise, and a wonderful visit and that’s how I remembered it. Chris had to remind me I didn’t want to go, and how irritating I was because I was so afraid of being hurt again. It was good to be reminded of things that I cast a rosy glow over. It was important to me to be honest, and odd to have the love of my life sound like my mother. Q. “The Days of Anna Madrigal,” published in 2014, marked the final chapter in the “Tales of the City” series. Have you thought about your next novel? A. I’m thinking about a historical novel. I’ve become captivated by a historical figure named Charles Warren Stoddard, a San Francisco-based poet who explored the South Seas and was fascinated by the natives’ acceptance of homosexuality. It will allow me to explore San Francisco in a different era, the late 1870s, and revisit the South Seas. I often find my imagination is ignited when I visit specific locations related to my characters. At Mosesian Center for the Arts, 321 Arsenal St., Watertown, Feb. 12 at 7:30 p.m.
Interview was edited and condensed. Terry Byrne can be reached at trbyrne@aol.com.